Share all Toad artifacts — including entity relationship diagrams, query files, automation scripts, and SQL files — with other Toad users. 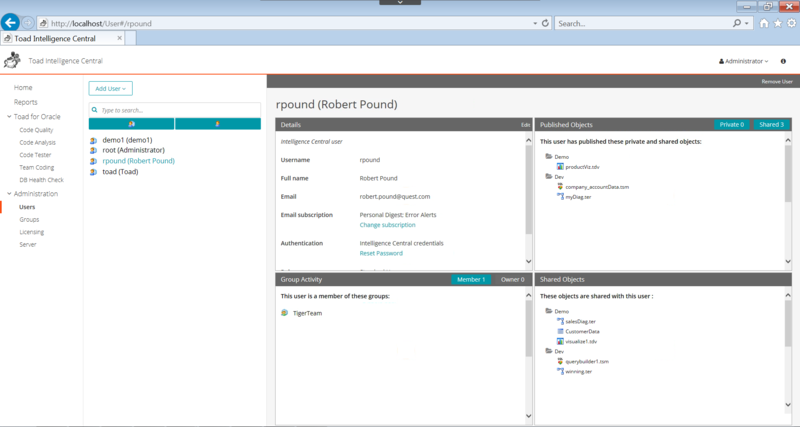 Manage permissions and access rights to shared folders and files. 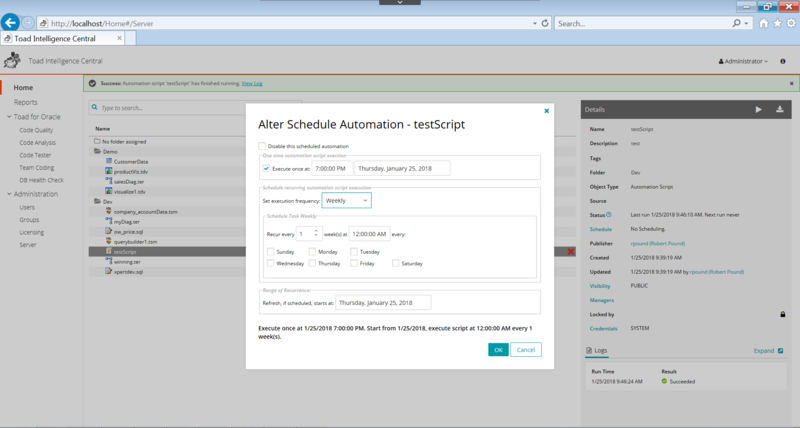 Create automation scripts in Toad, publish them to Toad Intelligence Central and schedule them for execution on the server. 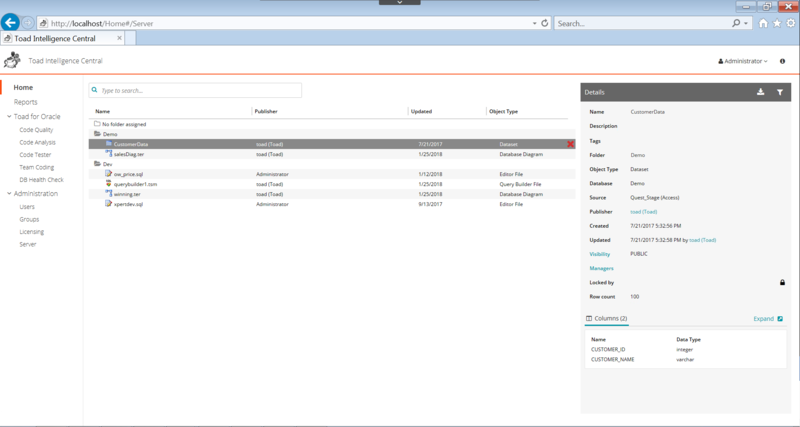 Enable administrators to better manage users and teams, and easily add/remove users. 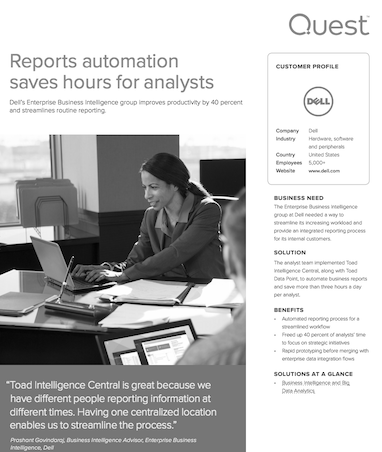 Access data directly from the source through built-in connectivity to relational and non-relational sources. Store datasets or snapshots and schedule regular updates. Connect and share data with users of third-party visualization tools, such as Microsoft®Excel, Tableau®, or Qlik® Sense™. 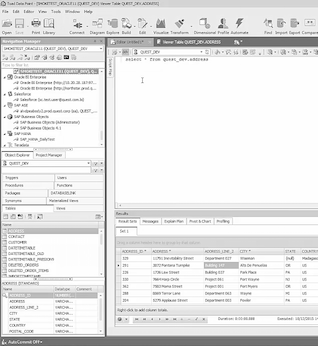 Gain a consolidated view of code quality over time with online Code Analysis reporting. 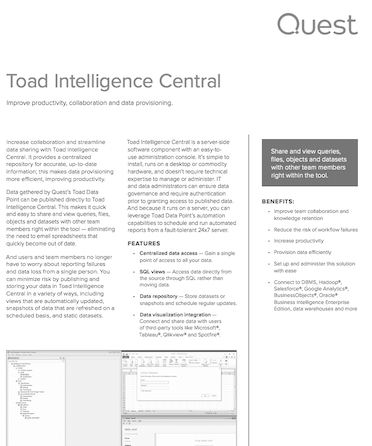 Toad Intelligence Central’s video library includes helpful how-tos and product information to help you get the most out of Toad Intelligence Central. The Toad World Forums is your place to ask and find answers to questions, and discuss Toad Intelligence Central with other users, whether you're a new customer or an existing one.